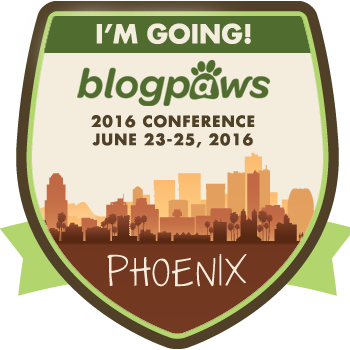 This post is sponsored by petMD Reptile Center, and the BlogPaws Professional Pet Blogger Network. 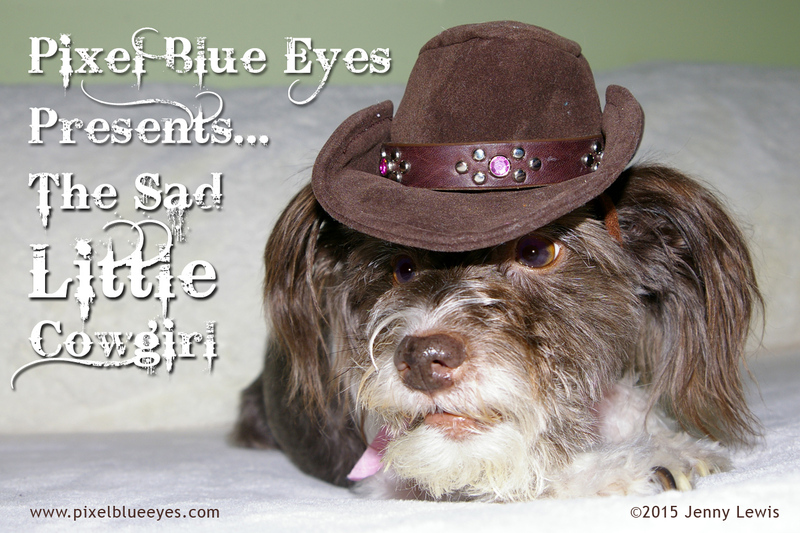 I am being compensated for helping spread the word about Reptile Ownership, but "Pixel Blue Eyes: Her Tails of Adventure" blog only shares information we feel is relevant to our readers. 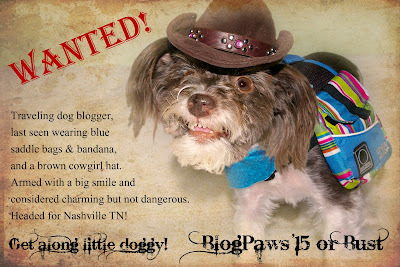 petMD® and PetSmart® are not responsible for the content of this article. 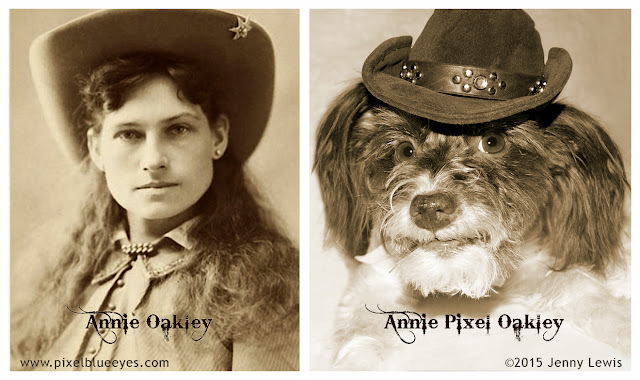 My Mommy has been a dog lover her entire life, but did you know that she and I have also been turtle lovers? Oh yes, it's true. 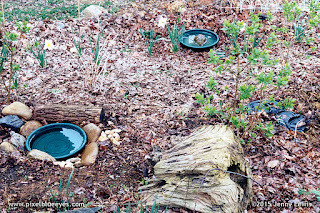 Before Mommy had me, she had box turtles (as well as dogs too) and she absolutely loved them! 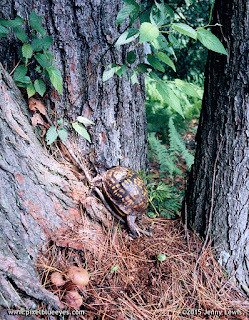 Eastern Box Turtles to be exact. And they were beautiful! 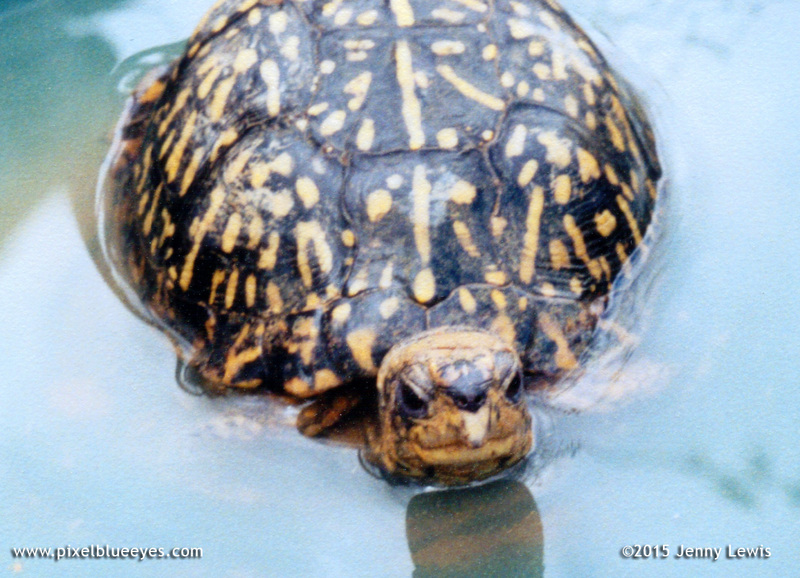 She had 4 box turtles over the years, two boys named Henry and Guy, and two girls named Harriet and Lucky. She took the time to learn all she could about box turtles so she could be the best Mom ever and provide all the care they needed. 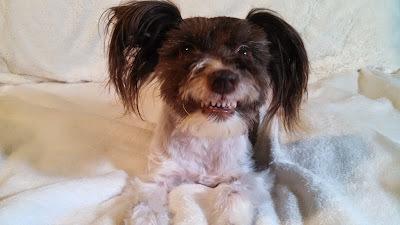 At the time there was not a whole lot of resources for great #ReptileCare, so she learned on her own or found the occasional turtle forum online. Today there is a great resource, thanks to the new #ReptileCare Center on the petMD® website. 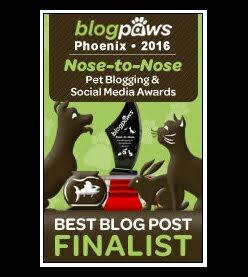 What sets them apart is that all of their content is either Veterinarian written or vet approved for accuracy and factual information. They are continually expanding the information and articles on the site. The pedMD Reptile Care Center has all kinds of interesting and helpful articles about things I never would have known about including reptile obesity, gastrointestinal issues in reptiles, and even something called star gazer syndrome. It's really fascinating stuff! When Mommy had her turtles, she was with them all the time, and really bonded with each one. 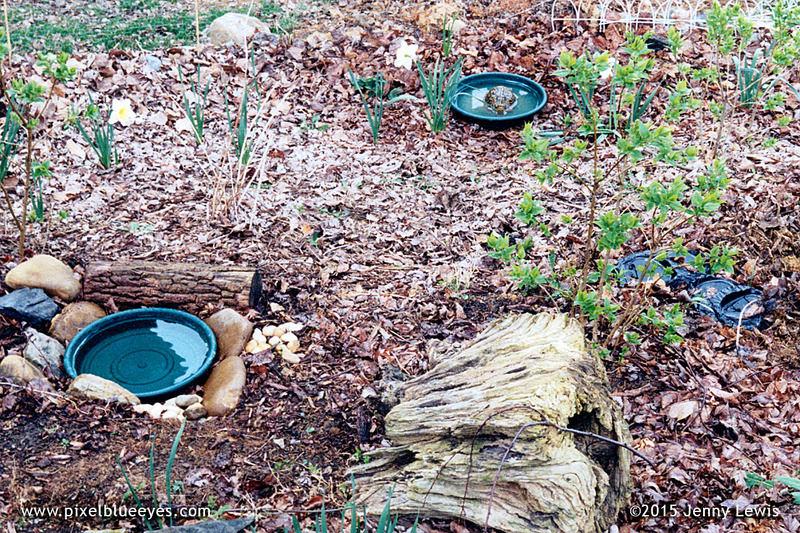 She built a large indoor terrarium with plexiglass for them and an outdoor habitat for them as well. She bought them mealworms and got them LOTS of earthworms. 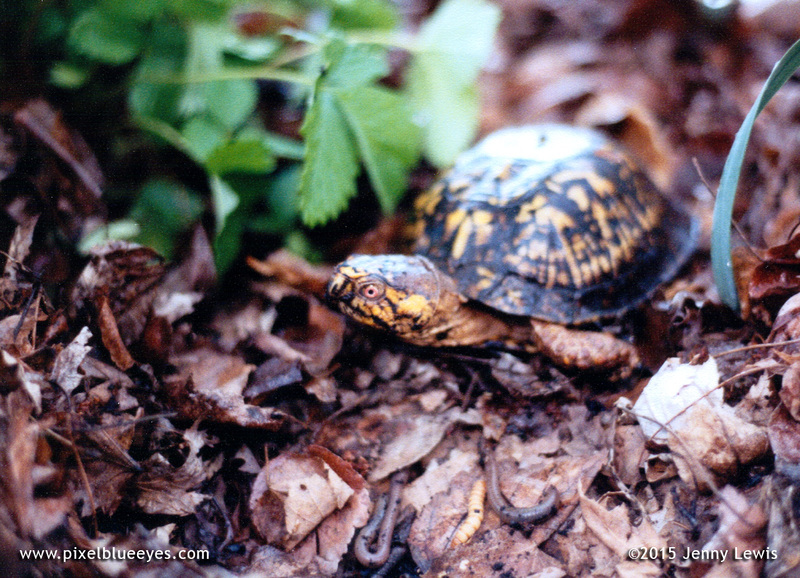 Mommy would then let her box turtles "hunt" the worms in the dirt, which they LOVED to do. She provided them with all kinds of fresh fruits and vegetables to eat, which Mommy said was especially fun to watch them eat. Their favorites were strawberries, blueberries, cantaloupe, bananas, and watermelon. Turtles love to go exploring, just like people and pets, so Mommy took her box turtles camping up in the mountains with her, so they could enjoy it too! She found that her turtles love to climb trees, which she found very interesting. Her littlest one, Harriet, was the best and most avid climber. She really had to watch Harriet like a hawk because she could get 2-3 feet up an angled tree in no time! It was a curious thing that, to this day, Mommy has no idea why they did it! Turtles have unique, individual personalities. Just like dogs. Turtles need a balanced diet. Just like dogs. Turtles need Veterinary Care. Just like dogs. 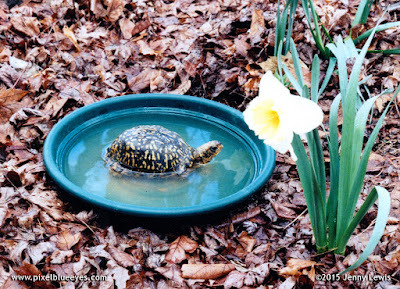 Turtles need fresh water available to drink at all times, separate from their drinking water. Just like dogs. Turtles love eating certain fruits and vegetables. Just like dogs. Turtles like to have their neck gently rubbed. Just like dogs. Turtles can bond with their owners. That's right...in their own way, yet just like dogs. 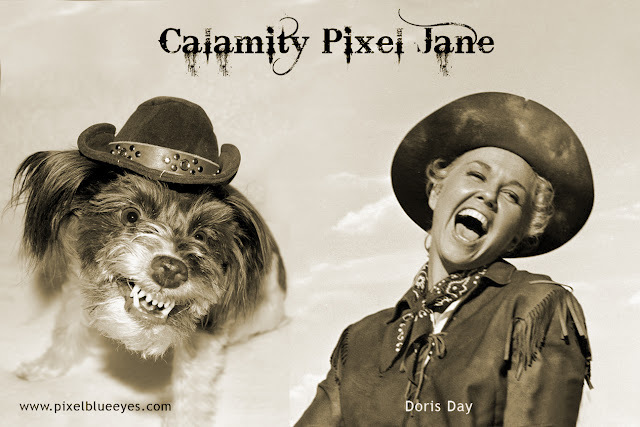 Read "Can Your Reptile Bond with You?" on pedMD. Turtles can both hear and communicate. Turtles have thin flaps of skin covering internal ear bones. The skin flaps allow vibrations and low-frequency sounds in the ear canal. Water turtles generally live to about 30-40 years; box turtles (and tortoises) live an average of about 50-100 years. Box turtle males have orange eyes and a slight concave to the bottom belly shell. Females have brown eyes and a flat belly shell. There are a lot of great articles on the petMD® website that are very helpful, informative and even just entertaining. There's a great infographic about "Choosing a Reptile" that you'll really enjoy if you are interested in different reptiles and want to learn more. Always wash your hands both before and after you touch the turtle. Turtles carry salmonella which can make you extremely ill. Remember that turtles have a beak, they can be moody and they might snap at you. So be wary of where your hands are in regards to their mouth. Reptile ownership is so much fun, especially if you have the right information, the right tools, and the right mindset. To help you find everything you need to get started, Petsmart® is having a Huge Reptile Mega Month with sales on all kinds of Reptile Care items. They have everything you need, including the live reptiles to start loving! So maybe you'll become a turtle lover too...or a gecko, or other reptile lover. Who knows....reptiles and dogs make great friends! 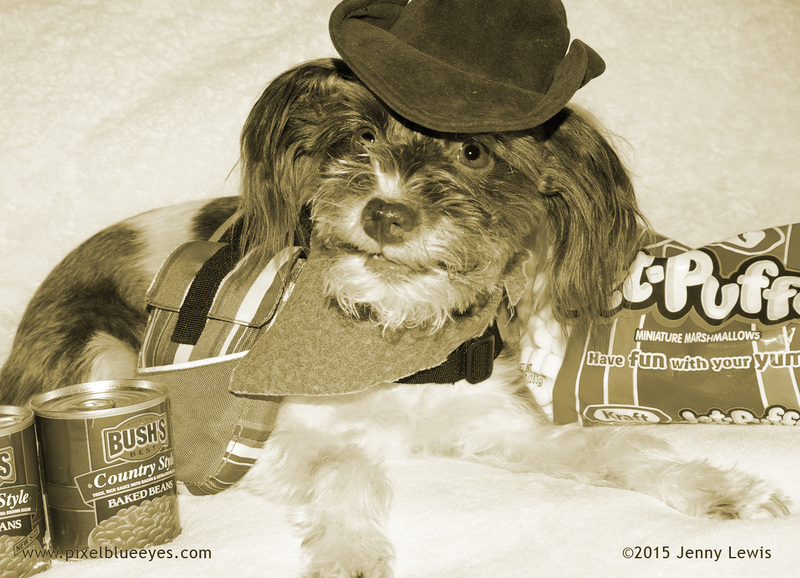 Get social with petMD on Facebook and Twitter! Do you have a reptile already? Are you wanting to get one? I'd love to hear about it! 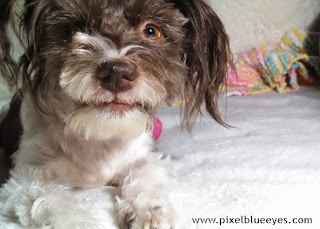 Tell me your story in a comment my friend! The Joy of a Great Movie: Pixel Introduces "Max the Movie" - Best Friend. Hero. Marine. 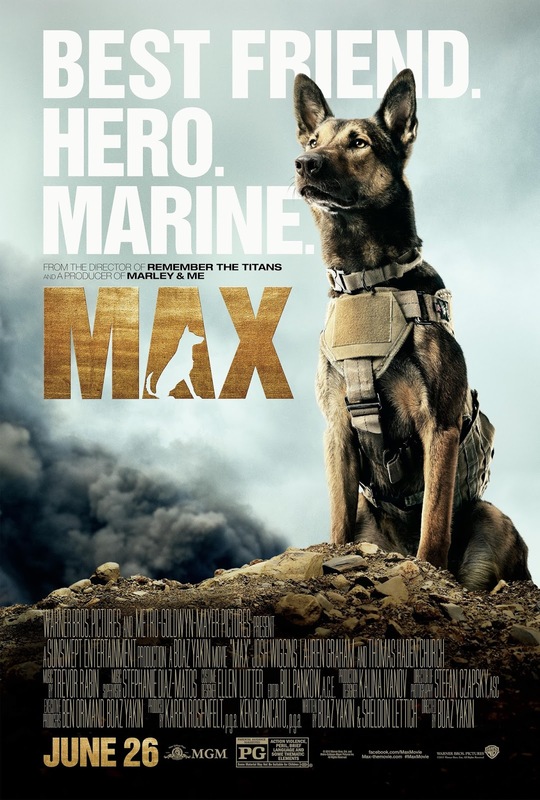 Max the Movie follows the journey of Max, a precision-trained military working dog (MWD), who serves on the frontlines in Afghanistan alongside his handler, U.S. Marine Kyle Wincott. They have a very special bond. 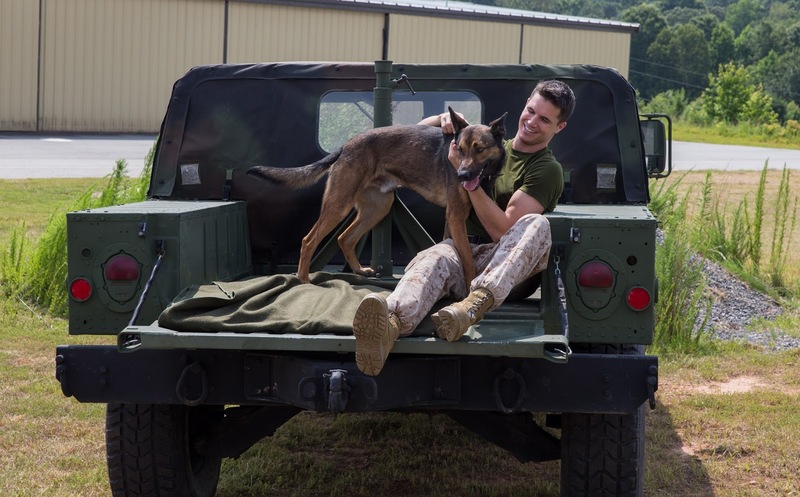 But when things go terribly wrong on maneuvers, Kyle is mortally wounded and Max, traumatized by the loss of his best friend, is unable to remain in service. 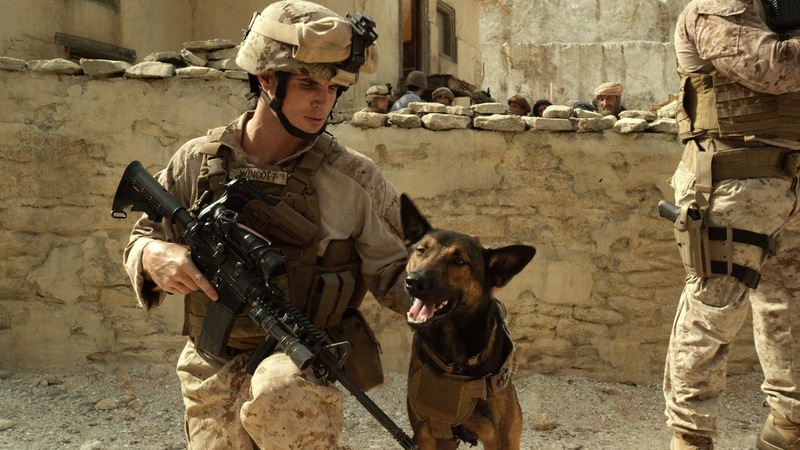 Over 3,000 Dogs have served in Iraq and Afghanistan. Max was so bonded to Kyle, that he won't work with anyone else. Traumatized by the loss of his best friend and suffering from PTSD, Max is unable to remain in service. I can only imagine how horrible it must have been for Max to suddenly be alone without his beloved human by his side anymore. Military working dogs and their handlers literally spend every waking and sleeping moment together in Afghanistan. Shipped stateside, the only human he seems willing to connect with is Kyle’s teenage brother, Justin, so Max is adopted by Kyle’s family, essentially saving his life. 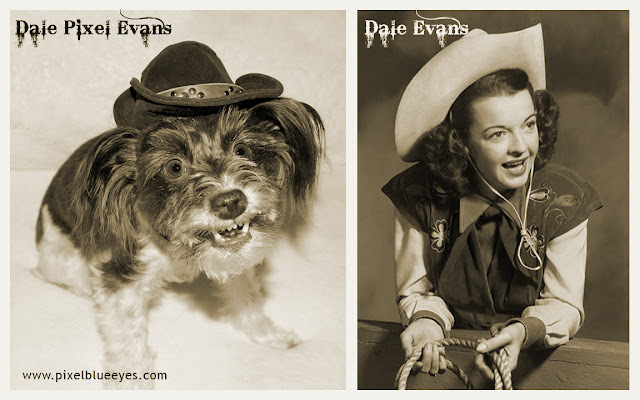 But Justin has issues of his own, such as living up to his father’s expectations for him; he isn't interested in taking responsibility for his brother’s troubled dog. 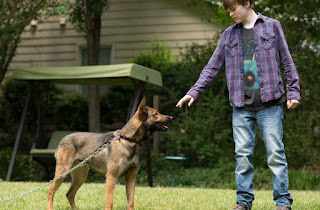 However, Max may be Justin’s only chance to discover what really happened to his brother that day on the front, and with the help of a tough-talking young teen named Carmen, who has a special way with dogs, Justin begins to appreciate his canine companion. There are so many incredible scenes in this movie that will make you smile, make you cry and warm your heart like nothing else. This is a chance to really understand what it's like for our brave military working dogs, their brave military soldier handlers and their families. in service to our country since 2003. Justin’s growing trust in Max helps the four-legged veteran revert back to his heroic self, and as the pair race against time to unravel the mystery, they find more excitement—and danger—than they bargained for. But they each might also find an unlikely new best friend…in each other. “Max” stars Josh Wiggins (“Hellion”) as Justin Wincott, Lauren Graham (“Cloudy with a Chance of Meatballs,” TV’s “Parenthood”) as his mom, Pamela, and Oscar nominee Thomas Haden Church (“Sideways”) as his dad, Ray. Yakin directed the film from a screenplay he wrote with Sheldon Lettich (“Legionnaire”). Karen Rosenfelt (“Marley & Me,” the “Twilight” series) and Ken Blancato (“The Book Thief”) served as producers, with Ben Ormand and Yakin executive producing. This is a wonderful featurette about the movie and how they made it, and how important the soldier dogs are in the military. 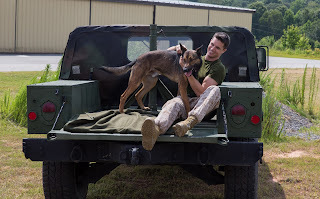 Dogs just like Max are heroes and they do heroic things for our military every day! You've got to see this! 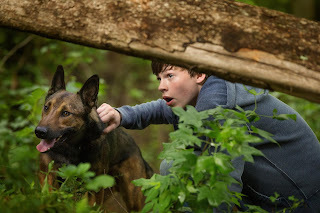 Warner Bros. Pictures and Metro-Goldwyn-Mayer Pictures present, a Sunswept Entertainment production, a Boaz Yakin movie, “Max.” The film opens nationwide on June 26, 2015, and will be distributed by Warner Bros. Pictures, a Warner Bros. Entertainment Company. 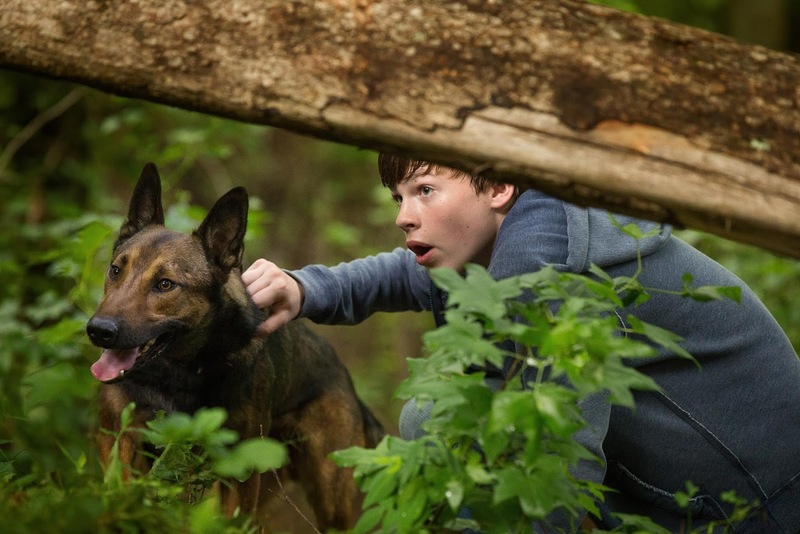 PARENTS: “Max” has been RATED PG by the MPAA for action violence, peril, brief language and some thematic elements. I can't wait to see this movie friends. 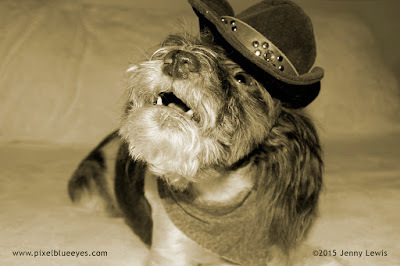 It has special significance to me because my doggie sister Dixie Mae is a PTSD service dog to my Grammy who is a veteran. My Grampy is a retired veteran too, so we are very proud of our military, and understand the effects that PTSD can have on people and animals. Dixie Mae also suffers from PTSD of her own from being shot and abused as a mill dog, so we help her through those difficult times as well. That's what you do for family, just like in this movie. Is your pet your hero? 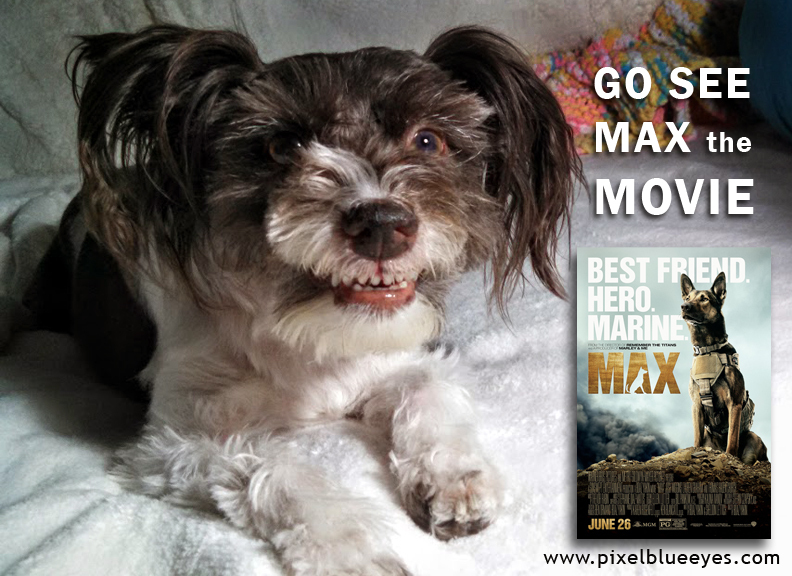 Share your photos and stories using the hashtags #HeroPet and #MaxMovie on social for a chance to be featured on the official MAX pages! Don't miss an opportunity to see this amazing movie friends! It will warm your heart and be a joy for the entire family. You all know I love going places with Mommy. She takes me every place she possibly can, and I ride really well in the car with her. But she has always been concerned about my safety in a moving vehicle. What if something were to happen while she was driving? She wears a seatbelt to keep her secure in the car. But what about me? 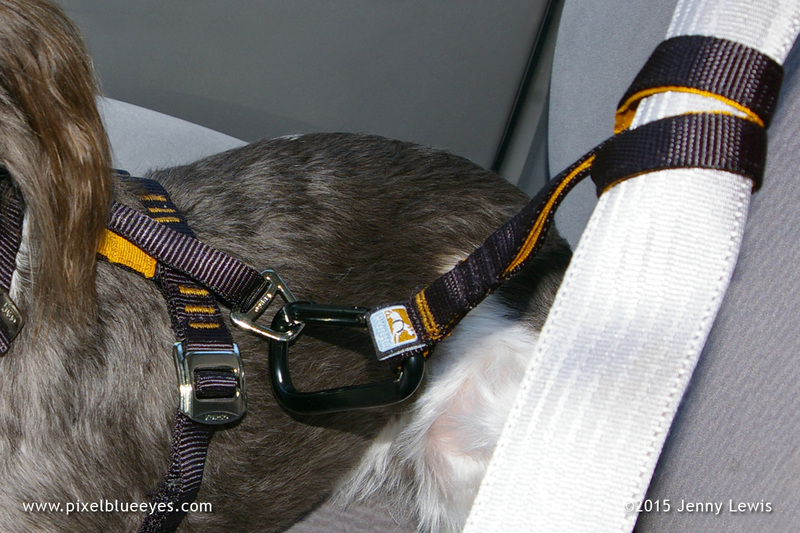 What kind of dog harnesses are available for travel safety? Mommy had been actively seeking a car safety dog harness of some kind when Kurgo contacted us to review their new Kurgo Tru-Fit Smart Harness. It was as if they were reading her mind! Mommy measured me carefully, per their instructions, and within a short time I received an extra small black and orange harness. The packaging is very attractive and gives great details about each harness. You can actually feel the harness material through the box window. As soon as Mommy took it out of the box, she could tell this was a top quality harness. The materials they use are heavy duty and rugged, yet the quality craftsmanship is very fine. The padded chest plate was thick and sturdy, fitting perfectly against my sternum when she placed it on me. There's a front centered "D-ring" that Kurgo designed into the harness so you can use it as a walking harness as well as a car safety harness. They do not recommend using this front D-ring for car safety use, so we left it alone while travelling in the vehicle. The stitching was done with great care and each piece was meticulously sewn into place to ensure it would be strong, work well, and last for many years to come. Mommy really liked the nested buckles system for securely putting on and removing the harness. It was so easy to do once she got the hang of it! Just slip the smaller buckle piece into the larger piece, then pull it flat. It locks in place and is so secure. It's so easy, you can do it with one hand! The craftsmanship alone top notch, Mommy told me, "It's no wonder Kurgo gives the Tru-Fit Harness (and all their products) a lifetime warranty!" There are several places to adjust the Tru-Fit Smart Harness to make a secure and perfect fit for your dog. Mommy had a bit of a tough time getting it to fit just right on me, so it still fit a little oddly or large on me, but it might just be that I'm a very slender girl. It certainly fit well enough for me to sit and lay down very comfortably in the car and at home while wearing it. 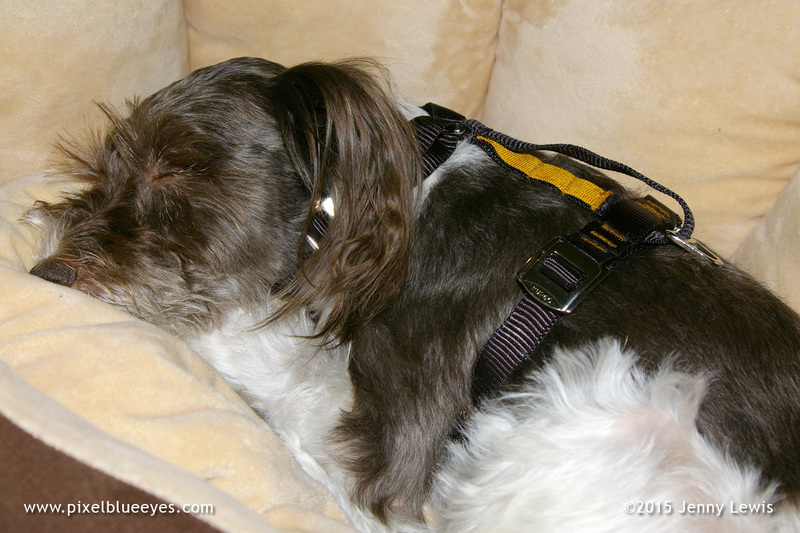 The harness comes with a high quality seat belt tether with a carabiner that attaches to the harness. The instruction sheet showed two ways to use the seat belt tether. Mommy preferred the way we have shown in the photo, where she looped the handle around the seat belt, and then passed the carabiner end back through itself and hooked it to the harness I was wearing. I was able to move freely in the seat, yet stay only in the seat and not move elsewhere in the vehicle. Here is a video by Kurgo showing the Tru-Fit Smart Harness being tested with an 85 lb. crash test stuffed dog. According to Kurgo, this car safety harness has been dynamically tested and is engineered with your entire family's safety in mind. 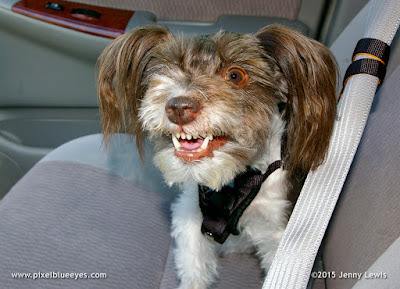 It is meant to keep your dog comfortably restrained in the vehicle during travel so they do not jump around and potentially distract the driver. 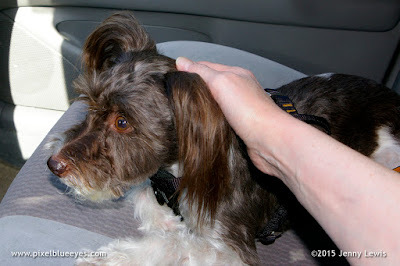 Mommy loved being able to reach over and pet me at any moment while driving, knowing I was safely restrained in the car. One very important thing to keep in mind with this and any safety harness for pets: you cannot expect that it will prevent injury in case of an accident. You cannot expect that of any safety harness. Just as seatbelts don't necessarily prevent injury to people in cars, so the same can be said for any kind of pet restraining devices. 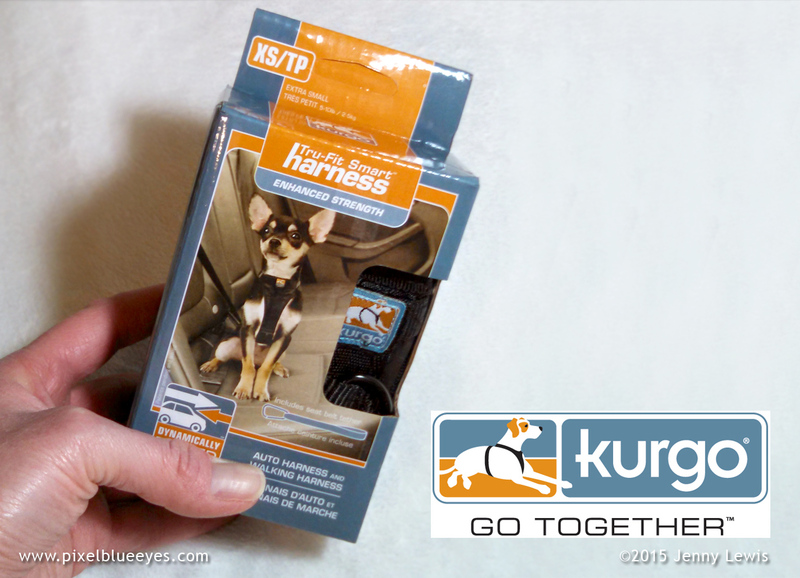 However, if you DID get into a car accident, the Kurgo Tru-Fit Smart Harness would keep your beloved pet safely contained inside the vehicle while help arrived, and it would ensure that he or she would not run off and get lost after such a tragic event. 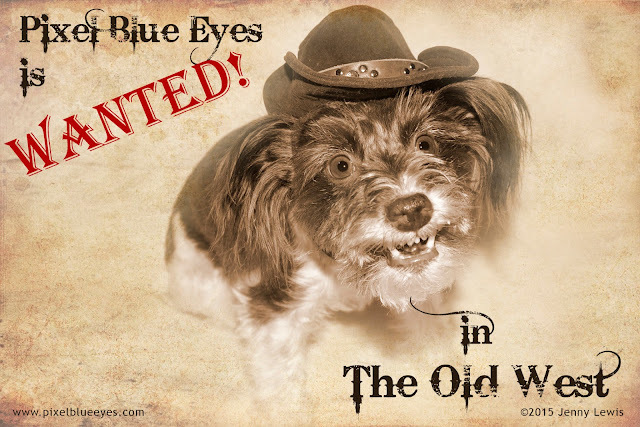 And always make sure your pet travels at all times with proper identification on their person so if anything happens, you and your pet can be identified and reunited. THAT, to Mommy, is serious peace of mind! The harness was quite comfortable for me after I wore it a little while. At first, the seam along my spine was very hard and pressed on my upper spine, which was worrisome to Mommy because I am having back issues. However, she took the harness and bent and manipulated the harness for a while to "soften up" the section that was creating pressure along my spine. It was better after that and I could wear it comfortably. In fact, I hardly knew it was on after a while because it's quite slim line in nature. I even took a few naps while wearing the Tru-Fit Smart Harness. 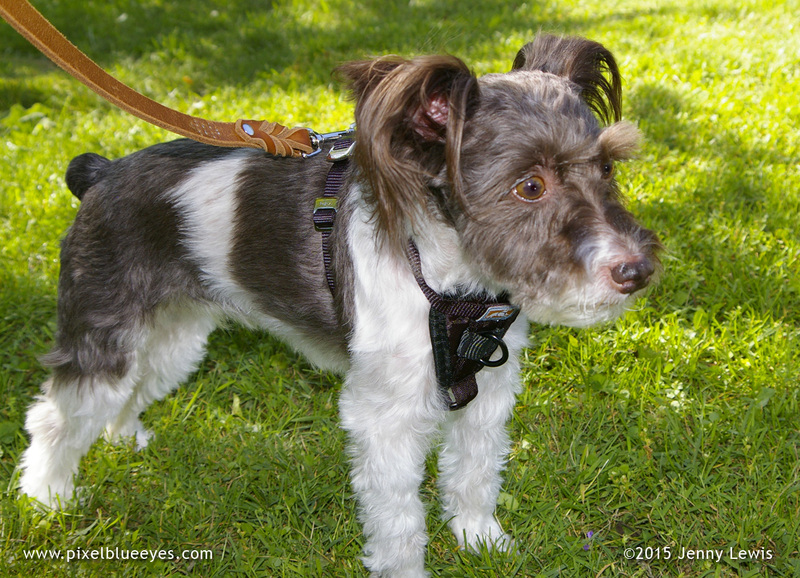 One of the nice things about the Tru-Fit Smart harness is that it easily doubles as a walking harness, so when travelling, you don't have to switch out from a safety dog harness to a walking harness every time you stop. 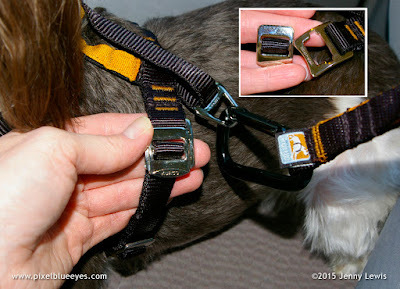 Just unhook the seat belt clip and hook on the walking leash. It's that easy! 1. We wish it fit a little more securely around the neck for me, even though it has lots of ways to make it secure. I'm an 11 lb Mini Schnauzer and this was the smallest one they had, but I know it's possible. 2. We wish the top seam along the spine did not seem to press on the spine so much at first. However, as we all know, new things must be "broken in" first. 3. We wish the harness came in more colors than just black/orange trim and red/blue trim. The quality is so amazing, I'm thinking some really pretty colors would be fantastic. Royal blue anyone? 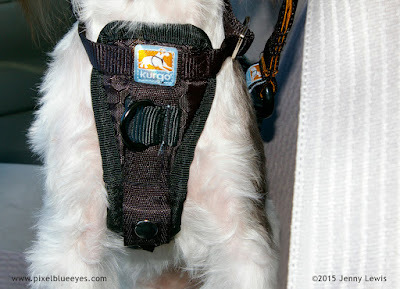 I hope you enjoyed my review of the Kurgo Tru-Fit Smart Harness. I can't wait to get one for each of my sisters. I think all dogs should be secure in a moving vehicle. Are yours? If your pets aren't traveling with a secure pet safety harness in your vehicles, don't wait friends. 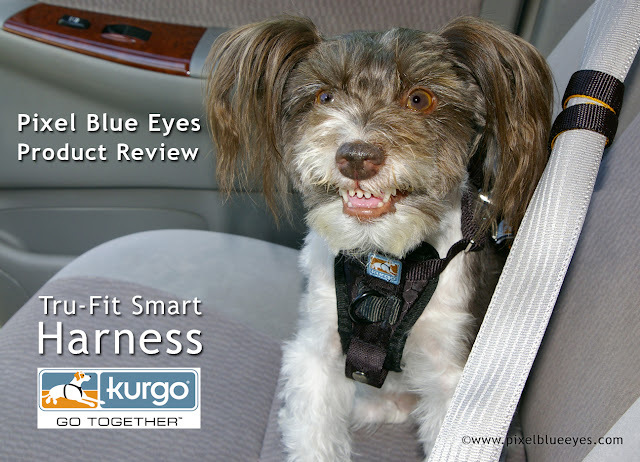 Try a Kurgo Tru-Fit Smart Harness for your pet. You'll be glad you did! Go visit my friends at Kurgo on Facebook, Twitter or Instagram! They will be glad to hear from you and will answer any questions you may have. And don't forget to tell them Pixel Blue Eyes sent you! 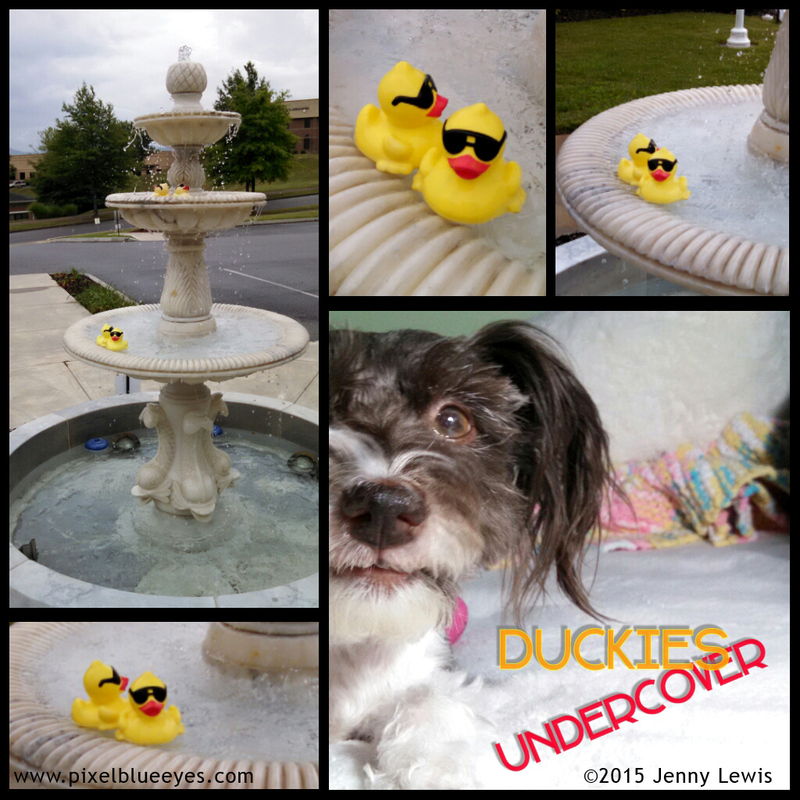 Ever since I was recruited to be a professional undercover duckie operative by my very own Purple Patrick Duckie, I've had to become versed in pretty much all tactics that rubber duckie operatives might engage in to get intel, run an operation, or "blend in". I've also had to go ahead and train Mommy in some of the basics just so she can survive and not get too freaked out when my rubber duckies go all "007" on her. Although I'm pretty sure Mommy is oblivious to the "spy games" my duckies and I sometimes play, and she's safe from any rogue mischief, I might have to re-evaluate my thoughts on her involvement in things. 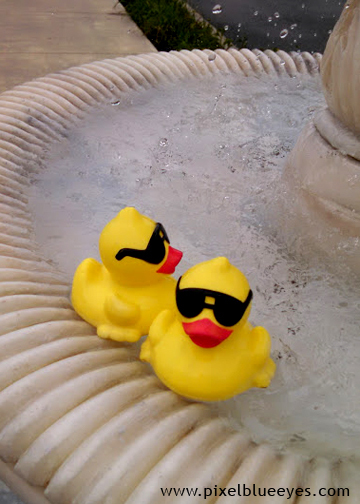 Duckie adventure, it seems, is following her. A few days ago, Mommy and Grammy were spied on when they had to go "out of town" to an undisclosed business establishment for a very important appointment. They'd traveled an hour and a half in the pouring rain. It was thundering, it was lightening, and the rain fell like sheets of...rain. Mommy pulled up into the parking lot of the establishment in which they had an appointment, right in front of a large running water fountain. 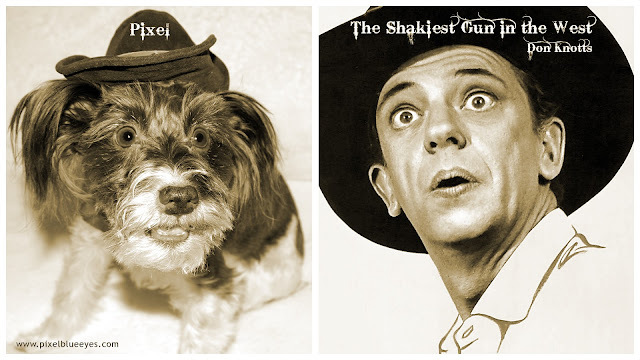 I don't mean the kind you drink out of, I mean the kind you throw a nickel in and make a wish. They had arrived early and the business establishment doors showed a sign saying they were still "closed for lunch". As they waited in the car for the place to open back up, Mommy recalled that she couldn't help but feel as though she was being watched. As she squinted through the dim light of the gray, rainy day, her eyes fell upon two figures wearing sunglasses and pasty smiles on their faces...staring at her. 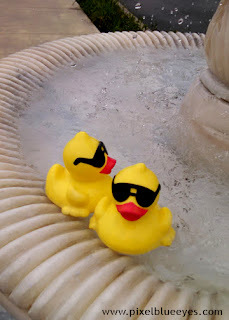 Thanks to my training, it was obvious to Mommy right away what was going on...these were under cover duckies engaged in some covert operation. But why there? And why spy on Mommy? And where were my duckies?? All of these questions flooded Mommy's mind as she secretly took a few photos for me to analyze when she got home. 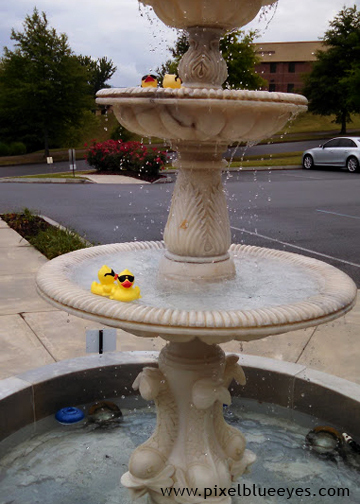 As soon as the sunglasses wearing duckies locked eyes with Mommy, they knew they had been 'made' and immediately started swimming about the fountain acting all nonchalant as though everyone wears sunglasses on a pouring down rainy day AND goes swimming in a fountain in the rain. The only other thing those duckies needed was a soaking wet newspaper with eye holes in the center so they could pretend to read while spying on Mommy and Grammy. I'm sure no one would have noticed their little orange bills poking through the classifieds. I don't know what those rubber duckies were up to, but I'm looking into it. If they were simply there to protect the building as security guards, they were doing a fine job of it. They had Mommy and Grammy a bit nervous and I'm pretty sure no one would want to 'cause trouble' with them conspicuously milling about. However, if they really are undercover duckies trying to spy on people...they really need to work on their 'duck and cover'. I'm taking part in the "Monday Mischief" blog hop, where pet bloggers share their fun, adventures and stories from the weekend. 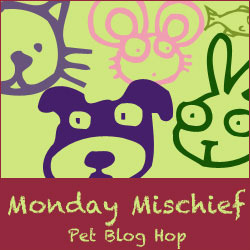 Visit some of the links below to read other stories of mischief, silliness and fun happening elsewhere around the world!